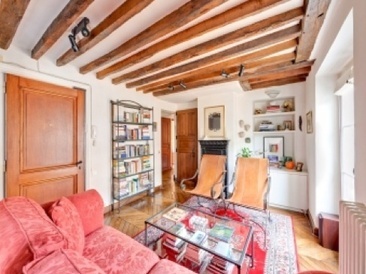 74sqm apartment in a well maintained building of the early 19th century. It includes a double living room with its kitchen equipped kitchen, 3 bedrooms, separate toilet, bathroom. Double exposure East / West, parquet, fireplace and timbered Prussia. Cellar and storage room complete this great offer. – Living surface : 796 Sq.Ft. – Surface (Carrez Law) : 796.24 Sq.Ft.